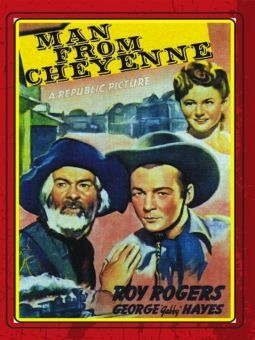 The budget for this fine Roy Rogers Western was doubled and the title changed from Starlight on the Trail to the more descriptive King of the Cowboys, mainly due to Rogers' great reception on a personal appearance tour in the fall of 1942. 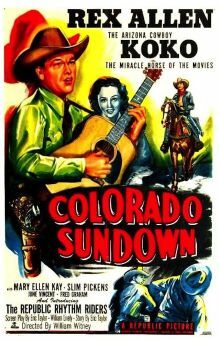 Republic had lost Gene Autry to the war effort and this film, more than any other, brought the heretofore also-ran singing cowboy to the forefront, where he remained through the early '50s. 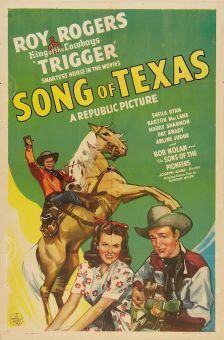 Following the example of Autry, Roy played himself, a rodeo star assigned by the governor, Russell Hicks, to investigate a series of warehouse bombings. 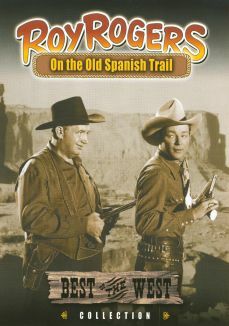 With sidekick Frog Millhouse (Smiley Burnette) in tow, Roy infiltrates the Merry Makers, a touring tent show whose phony mind reader, Maurice (Gerald Mohr), is the chief operative for a sabotage ring run by the governor's secretary, Kraly (Lloyd Corrigan). But Maurice catches Roy stealing his book of codes and is about to shoot him in cold blood when tent show owner Dave Mason (James Bush) interferes. 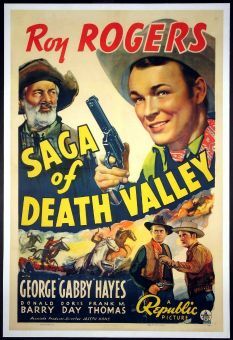 Maurice then eliminates Mason and frames Roy for the killing but despite this setback, Roy manages to stop the saboteurs before they can blow up a supply train needed in the war effort. 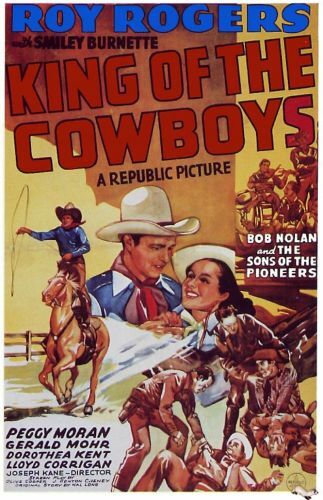 An "everything but the kitchen sink" action-thriller, King of the Cowboys came complete with seven songs performed by Rogers, Burnette, and the Sons of the Pioneers, including "Ride, Ranger, Ride," "Roll Along Prairie Moon," and Johnny Mercer's "I'm an Old Cowhand." 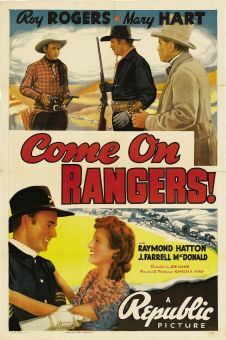 The film was restored to its full theatrical length by the Roan Group in the late '90s and re-released on a DVD that also features the original theatrical trailer and alternate scenes from a separate version released only to the War Department. In these scenes, Lloyd Corrigan's character is a businessman rather than the governor's secretary, and his Nazi affiliation is more clearly established.